—PRESIDENT Muhammadu Buhari on Thursday gave marching orders to the security operatives to deal ruthlessly with bandits terrorizing Zamfara state and its environs as well as other security challenges in the country. 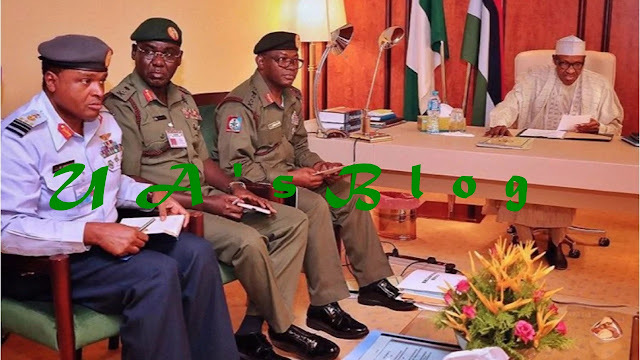 The Chief of Defence Staff, General Gabriel Olonisakin, disclosed this while briefing State House correspondents at the end of about two hours security meeting with the President Buhari at the Presidential Villa, Abuja. Also briefing the Acting Inspector-General of Police, IGP Mohammed Adamu said after confrontation with bandits and kidnappers at Abuja/Kaduna road, the road has been cleared and the road safe.